Flame retardants, including Chlorinate Tris, Firemaster 550, and PentaBDE, are found in the foam inside upholstered furniture in order to meet California regulations — the must be able to withstand exposure to a small flame, like a candle or cigarette lighter, for 12 seconds without igniting. But these chemicals don’t stay inside the foam. They continuously migrate into dust and end up in pets and people. Surprisingly, flame retardants have been found in the bodies of creatures who have never sat on a sofa including salmon, peregrine falcons, cats, whales, polar bears and even Tasmanian devils. But what about humans who do sit on sofas? Numerous studies find flame retardants in the blood of nearly everyone in the United States with the highest levels in infants and children. Toddlers have the highest levels because of their hand-to-mouth behavior and proximity to the ﬂoor. They are also most vulnerable to the toxic effects of the chemicals since their brains and reproductive organs are still developing. Tomorrow we’ll discuss flame retardant exposure. It may be different than you think. 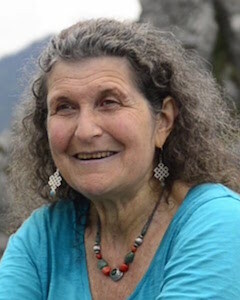 Arlene Blum PhD, biophysical chemist, author, and mountaineer is a Visiting Scholar in Chemistry UC Berkeley and also executive director of the Green Science Policy Institute.